Sanin Filtertechnik nonwovens are suited for the different production processes like drilling, turning, milling, honing, lapping, grinding or wire drawing. We optimize your vacuum band filter, compact band filter, hydrostatic band filter, plate band filter, inclined band filter or gravity band filter. Besides the cooling lubricant filtration on the different plants, also oil filtration in rolling mills and during extrusion processes is possible. 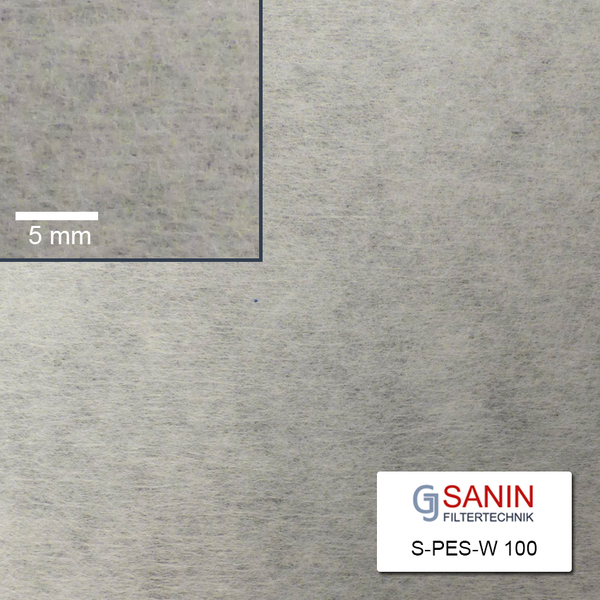 These nonwovens were developed for demanding applications and are bonded through mechanical needling. They are characterized by very good filtration results which makes them particularly suited for the ultra fine filtration of cast, aluminium, copper, brass, hard metal and hardened steel. 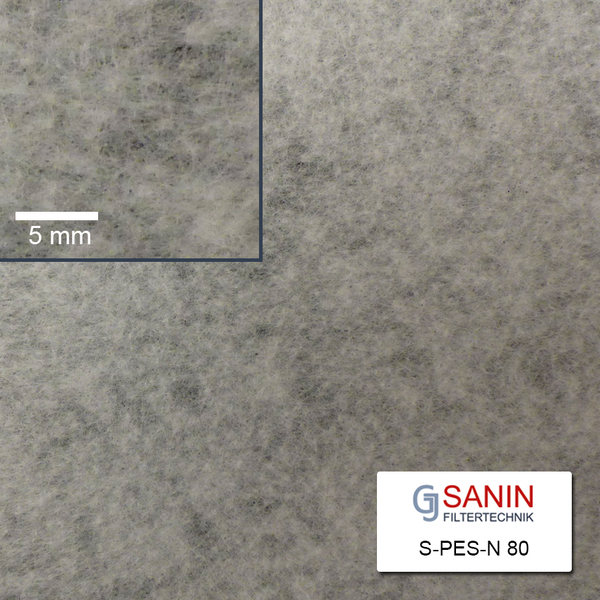 The very high storage capacity of the super fine particles inside the nonwoven allows depth filtration and relatively higher service life. Calendering or heat setting extend the potential for your filtration. This latest generation nonwoven filter media made from 100 % polyester is solidified by high pressure water jetting. 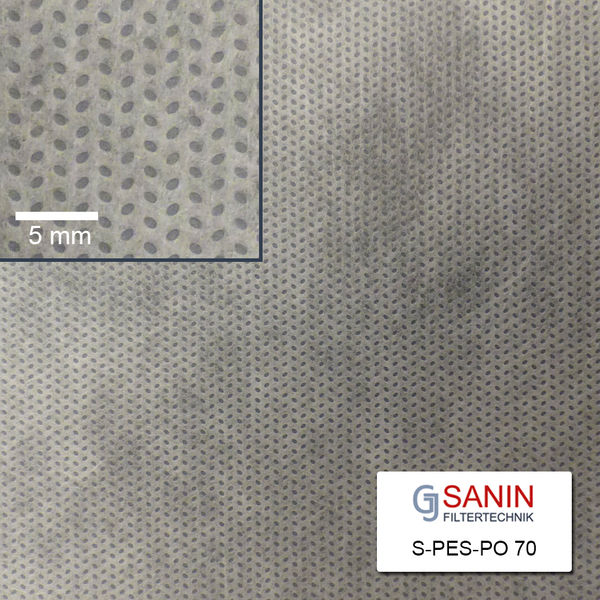 The multi-layered structure und the uniform pore distribution/surface offer great advantages particularly for the initial filtration. This procedure is additionally combined with a thermal treatment. 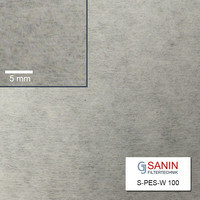 The nonwovens produced that way reach very high tensile strengths. This nonwoven filter consists of 100 % polyester fibers of various fineness grades with fractions of BICO fibers. 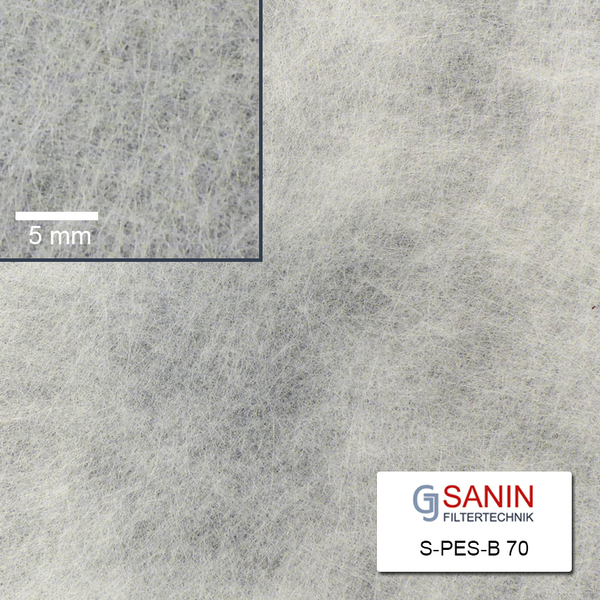 These thermally treated multi-component fibers ensure a remarkably high tensile strength. That is why relatively low grammages can be used for higher mechanical loads. The result of the multi-layered crosslapping with a gradient fiber structure is an extremely efficient filtration. 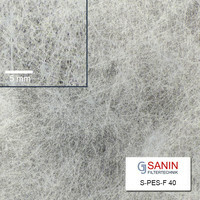 Polyester filter fleeces consist of 100 % endless polyester filaments. 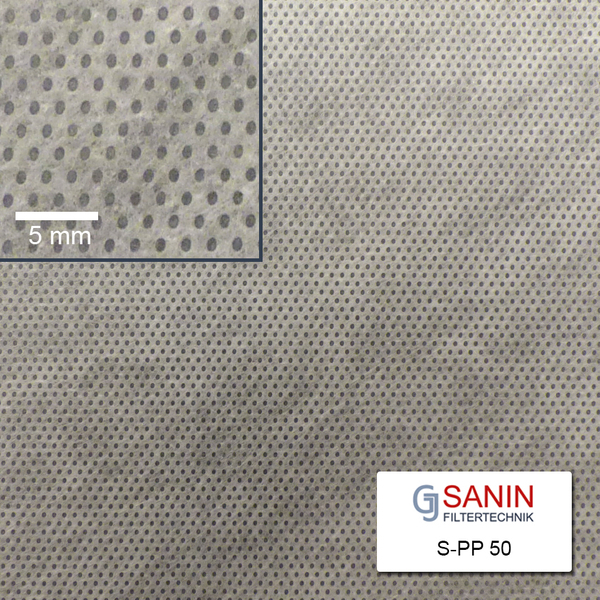 These nonwovens are also surface filters. The manufacturing takes place without any addition of binding agents. They are moisture-resistant and endure temperatures of up to ca. 130°C. Their thermal bonding is the reason for very high maximum tensile forces in both, longitudinal and transverse direction. Based on spunbonds made from 100 % polyester, various embossed, i.e. 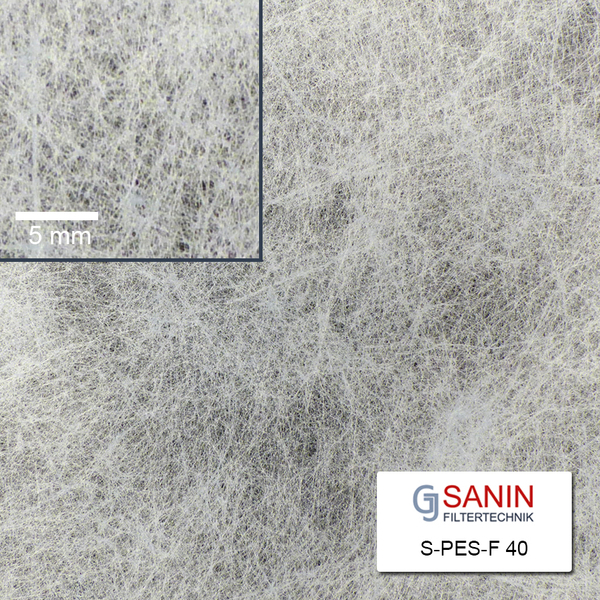 mechanically bonded nonwovens are available for which different embossments are possible. These allow very high tensile strenghts leading to a good dimensional stability. 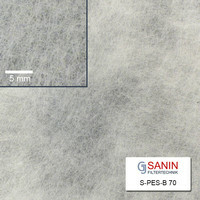 Due to their excellent mechanical strength, these filter fleeces are preferably used at high differential pressures, e.g. in plate filters. 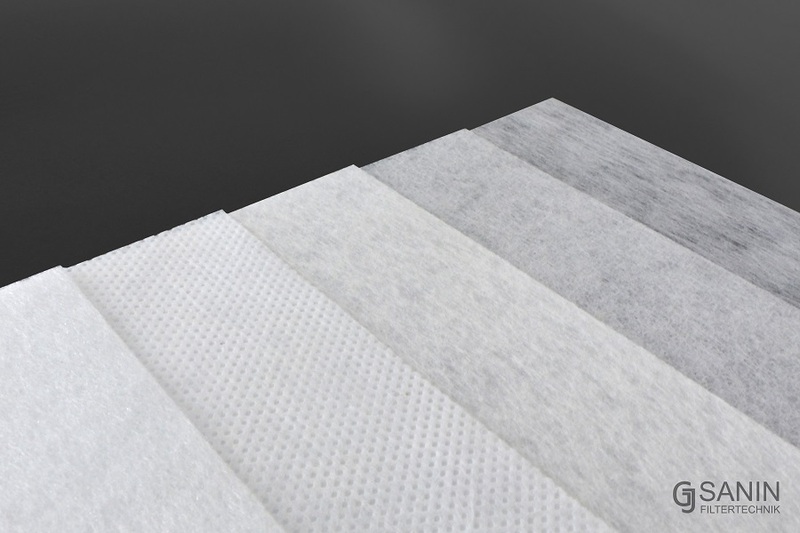 These nonwoven filters are manufactured from 100 % viscose/cellulose fibers. They are binder reinforced or chemically bonded respectively and chlorine free. At the same time they are biodegradable and therefore environmentally friendly. 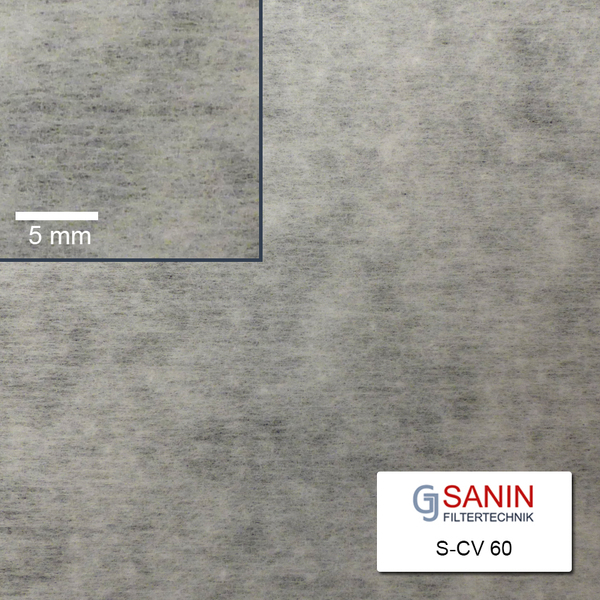 Because of the large pore volume viscose nonwovens are used for coarse to medium fine surface filtrations. This kind of filter fleece is made from 100 % polypropylene fibers without binding agents. 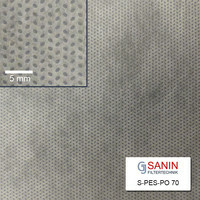 A particularly high stiffness and dimensional stability is the result of thermal and mechanical bonding (point bonded). 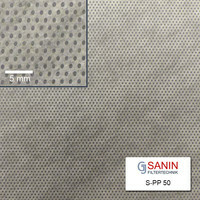 It is suited for the surface filtration of hard water, acids and bases. Due to the open-porousness it can as well be used for mineral oils and higher percentages of tramp oil. 1. The consumption of filter fleece rolls is too high. How can I increase service lifetime of my fleece rolls and at the same time reduce downtime of my machines? 2. There are too many contaminants in my clean tank. Therefore I want to filter my emulsion with higher fineness. Which kind of nonwoven can you recommend for my application? 3. The band filter fleece of the plant manufacturer is very expensive. Can you offer the same quality at a lower price? 4. There is no filter cake formation. Why is that? 5. I am looking for a high performance nonwoven for grinding machines. Can you recommend me nonwoven products? 6. The disposal costs for my filter fleece, filter cake and cooling lubricant are too high. How can they be reduced? 7. My filter fleece seals too fast and therefore the belt filter clocks too often. What can be done about it? 8. There is foam formation in my plant. Can another filter prevent that? 9. My filter fleece rolls tear frequently. Are there "stronger" nonwovens for my application? 10. My belt filter doesn't clock, the filter fleece won't move. What is the reason for that? No matter whether you found your concern here or if you have further questions, don't hesitate to contact us!